Affordable 5 Star Restaurant Quality Australian Wagyu delivered Australia Wide*. Wa’ means Japan and ‘Gyū’ means Cattle therefore it is Japanese Cattle also known as Kobe (Kōbe). The Japanese consider it a National Treasure. For many centuries the Japanese used Wagyu cattle as draft animals that required physical endurance. Natural selection favoured animals with more intra-muscular fat or “marbling”, a ready source of energy. Over several decades now, Japanese farmers have used detailed records of their commercial and stud Wagyu to select their bulls and cows on their marbling ability. Tajima cattle from the area surrounding the port of Kobe in Japan are famous for excellent meat quality. Kobe Beef’s reputation spread to the west via the sailors. 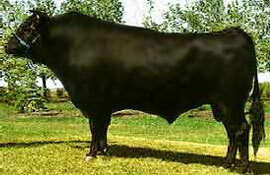 In 1988 Australian Farmers brought the genetics of Wagyu Cattle and cross bred them with Hereford and Angus. The Wagyu in Australia are the best in the world outside Japan. Tajima cattle from the area surrounding the port of Kobe in Japan are famous for excellent meat quality. Kobe Beef’s reputation spread to the west via the sailors. 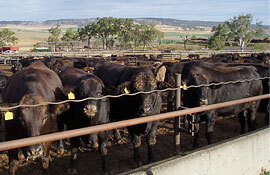 In 1988 Australian Farmers brought the genetics of Wagyu Cattle and cross bred them with Hereford and Angus. The Wagyu in Australia are the best in the world outside Japan. First 6 — 10 months are spent with their mothers until weaning. Then they are fed 400 — 500 days in the feedlot where they are fed on strict Japanese style, high energy diets that are formulated for Australian conditions. This process gives Wagyu a high quality meat with a great marbling effect. Giving the meat a velvety sweet flavour that comes from the taste of the fat marbling that dissolves as the meat is cooked. The Wagyu Cattle are then processed under strict and exacting specifications to yield meat that has a fine, velvety texture and magnificent marbling. The meat after cooking is not only very tender but has a characteristically sweet flavour that is due to the soft (unsaturated) fat that readily dissolves in the mouth. A simple analogy is to compare how soft poly unsaturated margarine is relative to hard butter which has much more saturated fat. The marble score, rated at the 5/6th rib of the loin muscle is evaluated by trained Meat Graders for BOTH quality and quantity. Large pieces of internal fat are ignored. The BMS value ranges from 4 to 9+. In Australia we do not grade BMS over a score of 9. Therefore any carcass that appears to be significantly better than a BMS 9 is given a value of BMS 9+. The higher the grade of marbling the more delicious the meat.